Women in Ancient Egypt | Kid Reporters' Notebook | Scholastic Inc.
“King Tut: Treasures of the Golden Pharaoh” is on display at the California Science Center in Los Angeles through January 6, 2019. The exhibit illuminates several mysteries surrounding the boy king of ancient Egypt. The pharoah, whose full name was Tutankhamun (too-tahn-kah-men), reigned in the 1300s B.C. Among the most intriguing mysteries about his life is whether Nefertiti, one of the most powerful women at the time, was Tut’s mother. Most scholars believe that she was actually his stepmother. This made me wonder about the role that female rulers played in ancient Egypt. To learn more, I spoke with Kara Cooney, an associate professor of Egyptian Art and Architecture at UCLA (University of California, Los Angeles). Cooney is also the author of The Woman Who Would be King: Hatshepsut’s Rise to Power in Ancient Egypt, and the host of Discovery Channel programs that focus on ancient Egypt. Below are highlights from our conversation, which has been lightly edited for clarity. How did women become rulers in ancient Egypt? Egypt was one of the only places in the ancient world where women could become rulers regularly and systematically. They didn’t just become rulers, they became pharaohs (kings). The dark side about female kingship in ancient Egypt is that this kind of female rule is generally associated with authoritarian leadership. In ancient Egypt, families were trying to hold onto power and keep it all to themselves. When a king came to the throne who was too young or unstable, the family would allow a woman to rule for that king. Why did you choose to write a book about Hatshepsut? Hatshepsut did everything right. She left Egypt better than she found it, and made Egypt strong enough for her nephew to take over and invade other lands. But Hatshepsut’s name and images were erased by the men who came after her. When asked about all of the good things that she did, they would say, “I did that.” She needed to be resurrected and remembered today, even though the men who came after her did their best to erase her completely. Ben talks with Kara Cooney, an associate professor of Egyptian Art and Architecture at the University of California, Los Angeles. I read that Hatshepsut pretended to be a man and wore a false beard in order to stay in power. Is that true? Yes. Hatshepsut knew that she couldn’t expect the kingship to fit her as a woman. She had to fit into the kingship. In any patriarchal society, like the one we live in today, men generally take the first place and women the second. Hatshepsut didn’t try to fight that. She tried to fit it. Today, we try to fight it rather than fit it. 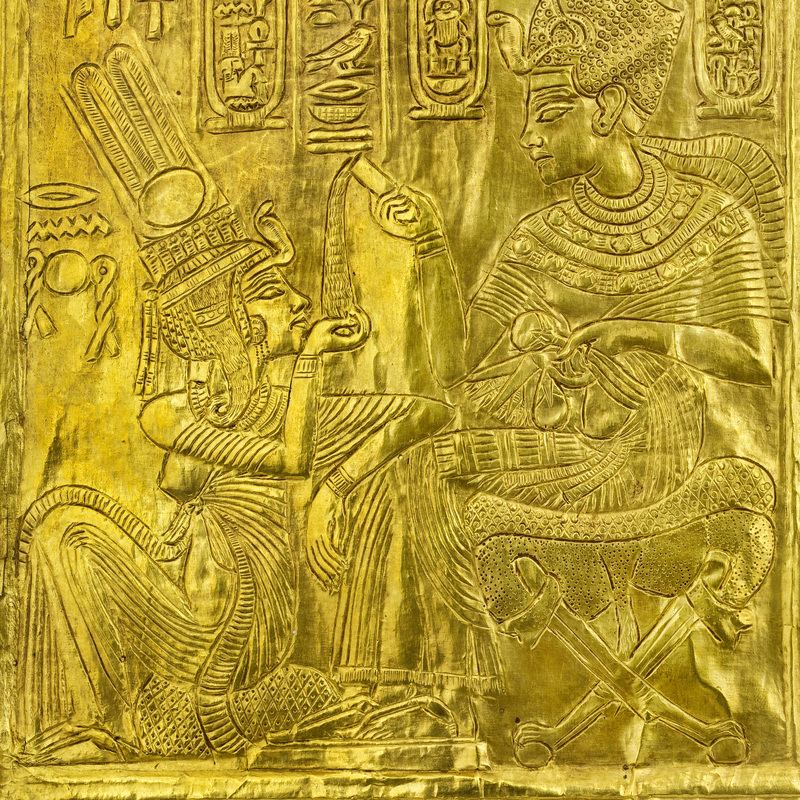 What are some of the similarities and differences between women leaders of today and the female pharaohs? There are more similarities than differences. The hostility toward women is very much the same. The idea that a woman is too emotional to rule is also very similar. Things haven’t changed as much as we would like.